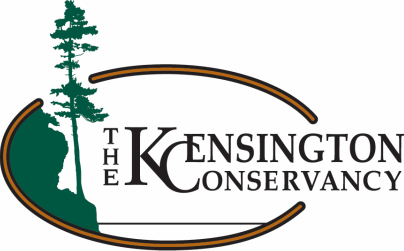 The Kensington Conservancy produces a great deal of pictures and video from the beautiful properties that we protect and the events that run. Below is a sample of some of those pictures and videos that Kensington Conservancy staff and members have taken. During the summer months, the Kensington Conservancy sends out a Photo of the Day to our email subscribers and on our Facebook and Twitter accounts. These photos can also be viewed here! Shots of animals from the Kensington Conservancy's area of concern. A wide variety of species are feature from frogs, snakes and turtles to elk, porcupines and turkeys. There's even an entire subsection just for bird songs. Produced in longer form than most of the Kensington Conservancy's other videos, Northern Profile is a series that highlights specific features of nature in our area of concern. Seasons, habitats and individual species are all potential topics. A look into the daily goings-on of our field staff doing things such as property maintenance, monitoring, setting up game cameras and tracking wildlife. Videos are usually short clips, around three to five minutes long. Since many of our properties are difficult to traverse or closed to the public, TKC video tours provides a look at the lands we protect without having to slog all the way out there.